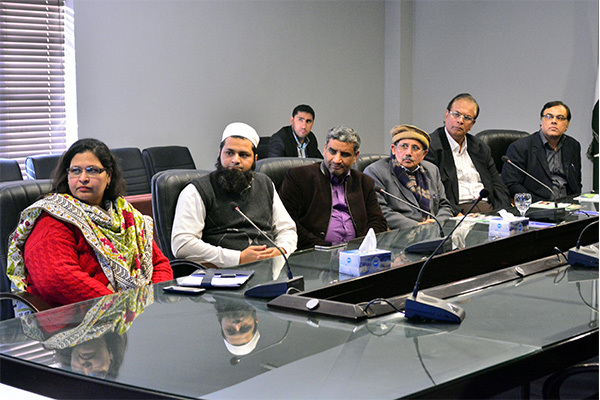 A delegation from Salam University, Afghanistan, headed by Chancellor Dr Misbahullah visited UMT to discuss joint collaboration, student and faculty exchange program and coordination in research. Rector UMT Dr Muhammad Aslam welcomed the delegation and said that UMT has excellent linkages with international universities and that it would be a good gesture to start collaboration with Salam University. 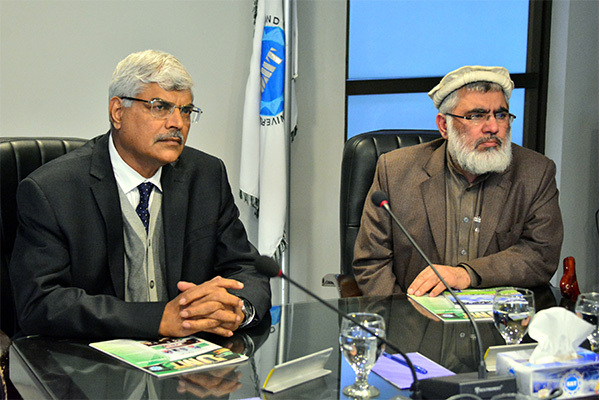 He said UMT will coordinate with Salam University in improving its faculty by offering training programs and sharing essential information regarding curriculum and infrastructure development. The Rector further said that coordination in research in a number of areas could be started off between the two institutions. Dr Misbahullah gave an overview of Salam University which was established in 2009 with campuses in Kabul and Kunduz. There are five faculties at the university; Faculty of Shariah and Law (FSL), Faculty of Engineering (FE), Faculty of Economics (FECO), Faculty of Law and Political Science (FLP) and Faculty of Computer Science (FCS). They said that Salam University has separate classrooms for male and female students. The delegation showed keen interest in collaboration with UMT at MS and PhD level especially in Education discipline. The event concluded with a note of thanks from the delegation head followed by the souvenir to the Chancellor Salam University and then a group photo.